There are some things you should avoid. “Angry Birds” is one of them. In case you’ve missed it, “Angry Birds” is a highly addictive game you can play on your smartphone. My mother, who is always hip to things, was the one who turned me on to it. She’s only recently been allowed to play games again as she had a long-time “thing” with Super Mario that didn’t end well. I’ll be monitoring her closely. 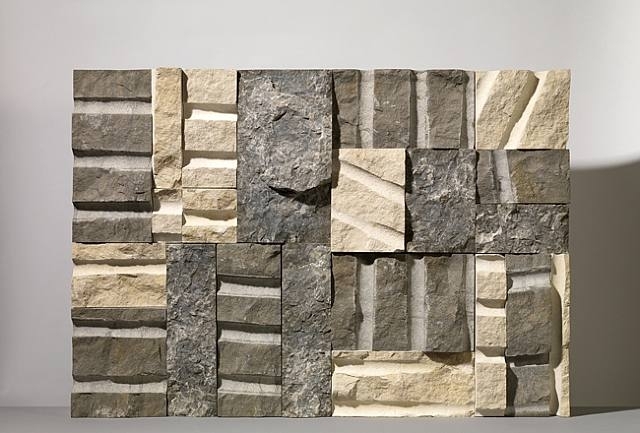 Sean Scully’s work puts me in mind of another game app called “Unblock Me“. I’m not sure someone of his renown would appreciate being compared to a free download, but the two do appear to be eerily similar. 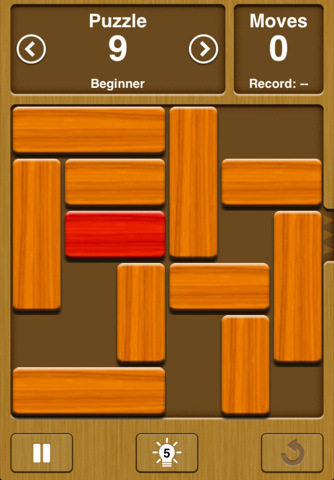 Screenshot from my iPhone of “Unblock Me”, shown below. Thanks for this wonderful information, your very kind. aren’t you kind? Thank you so much! Please feel free to twitter or pass the site along to friends! Just wanted to drop a note to say That I fully enjoy this blog. I am a busy mom and run my own biz. I haven’t been to an art museum or gallery in I don’t know how long and this is a little taste. Keep up the good work and thank you! 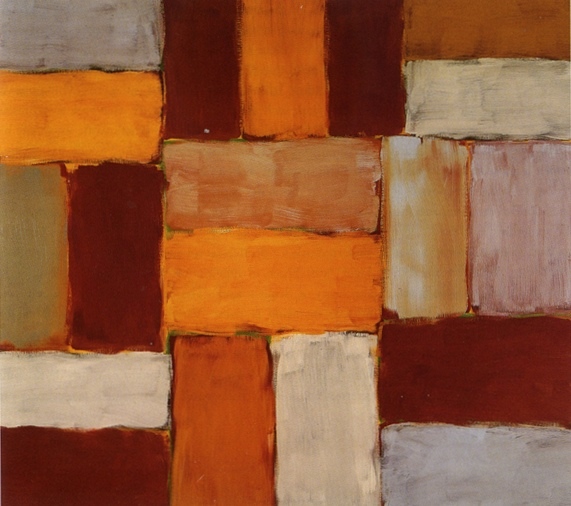 I only became aware of Sean Scully about 4 years ago. A year later, we made a family trip to DC. Scully’s work at the Hirshorn made an entirely different impression. The scale is not to be underestimated. It was a favorite moment of mine from that weekend.